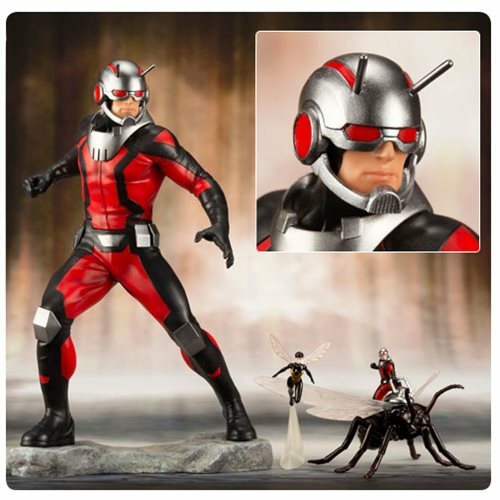 From Kotobukiya's Marvel Comics ARTFX+ series comes the Marvel Universe Ant-Man 1:10 Scale ARTFX+ Statue! 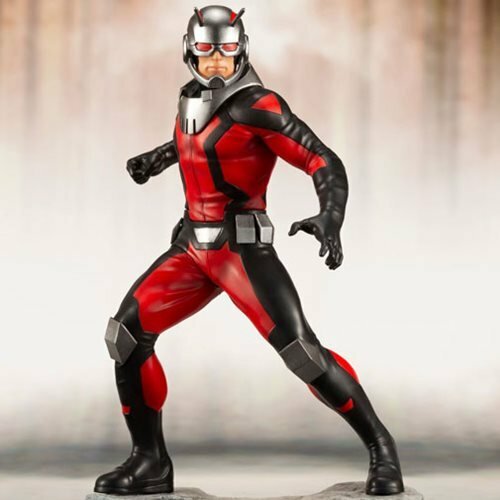 Standing at a little over 7-inches tall, this is the 3rd entry in a new Avengers series, joining the Marvel Universe Black Panther 1:10 Scale ARTFX+ Statue and Marvel Universe Scarlet Witch 1:10 Scale ARTFX+ Statue (sold separately). 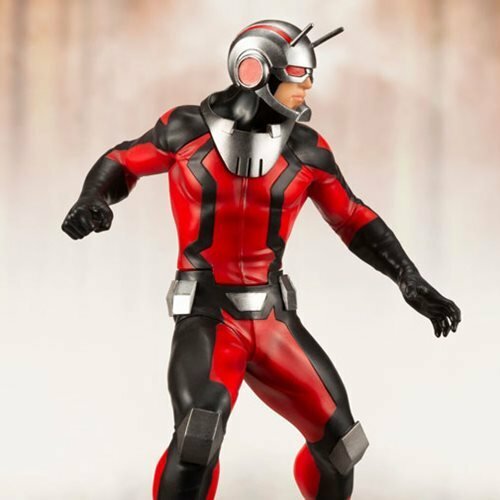 Ant-man's costume (based on the Scott Lang suit) is given new life in Adi Granov's original style thanks to Kotobukiya's superior craftsmanship. But that's not all! 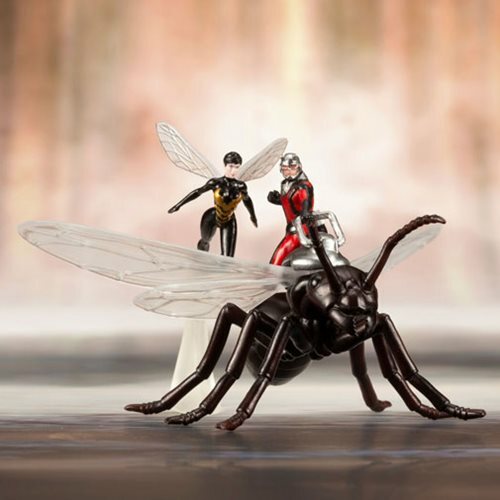 The statue also comes with a miniature Ant-Man riding an ant, as well as a miniature Janet Van Dyne's The Wasp. 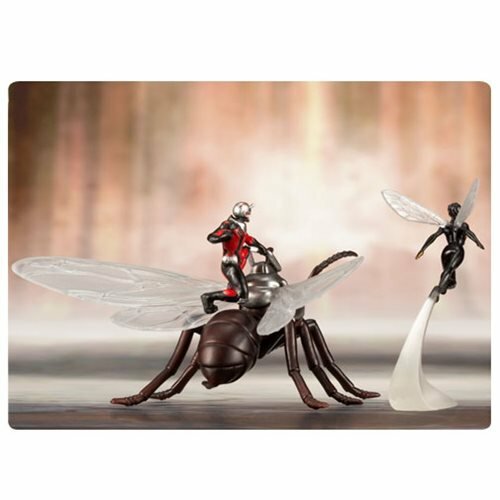 Whether you display the Avengers ARTFX+ series together or on their own, this is a must-have for the Marvel collector. Ages 14 and up.